Are you ready for Part II of the Rescue Beauty Lounge Series? Decorous was released as part of the Spring 2011 Iconic/Ironic Collection. I must admit that it wasn't one of my initial picks, I was afraid it would look a bit frosty with its silver shimmer. Oh how wrong I was! As soon as I applied the first coat, I loved it. Warm capuccino brown infused with not only silver but also pink ang green shimmer, I absolutely love how it looks on me, edgy, classy and cosy and the same time. 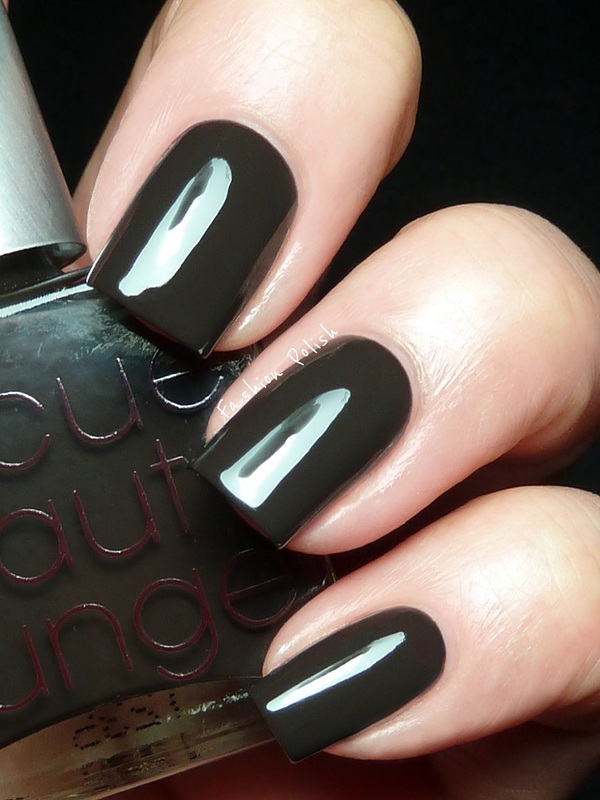 In terms of formula, Decorous was a dream to apply in 2 easy, even coats. Fortissimo was part of the Pre-Fall 2011 "L’Oiseau de Feu” a.k.a Firebird Collection. If you're not a brown lover, you might very well change your mind wearing this one. Cool toned, dark with hints of green, nothing like your average brown creme. Again, this is a very classy, shade and with a perfectly smooth 2 coat coverage. Two variations over brown, both perfectly formulated, in accordance with the high standard that Ji Baek, creator and owner of Rescue Beauty Lounge, has set for her creations. Honestly I keep being awed each and every time I swatch one of them. Your nails are INSANELY gorgeous... I'm loving the RBL swatches!! @Priscilla ok now double blushing LOL. Thank you Priscilla and beijoca mon amie! Love these colours, and your amazing swatches! Fortissimo is one of my all time favesies! It is so mysterious! Perfect swatches! Decorous is gorgeous. Love how perfectly painted your nails are. @Miss L it totally is! Oh wow, these two are delicious! Fortissimo is just luscious, and I love the shimmer on Decorous. Beautiful pics to show 'em off too!